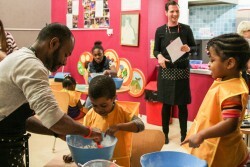 Last month we put sieves on our heads hosted the second in our series of family baking workshops, this time at Ann Tayler Children’s Centre near London Fields. It almost goes without saying that we had fun, a whole lot of fun! 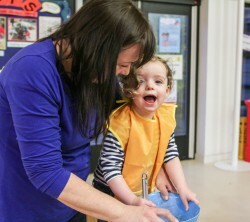 The staff were great; our bakers – who helped run the session – were great; the parents were great; and the kids? They weren’t too bad either! 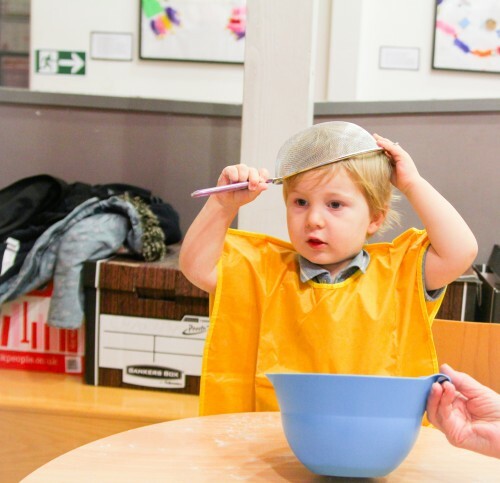 We’re joking, of course – they were super great and it was fab seeing them really get stuck in, taking control of the mixing and measuring, getting creative, and yes, from time to time, sticking a sieve or two on their heads, but we won’t tell Environmental Health if you won’t! All together now … “Ground control to Major Tom…”! Sieves on heads weren’t the only funny occurrence mind you. 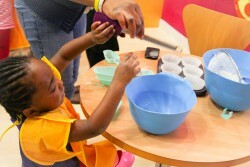 One child added an egg to the mixture. As in, a whole egg, just popped in there with the flour, shell and all. 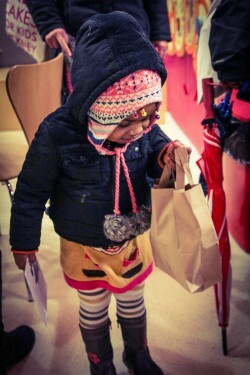 We heart kids! 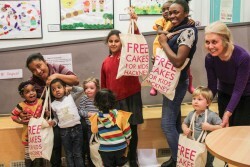 So everyone went home happy, clutching their FCFK Hackney goody bags. 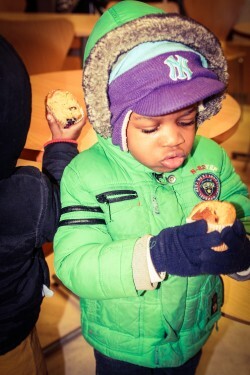 And some carefully packaged their precious homemade muffins up to take home, while others just couldn’t wait…! « Oh my! We’re in My Weekly!